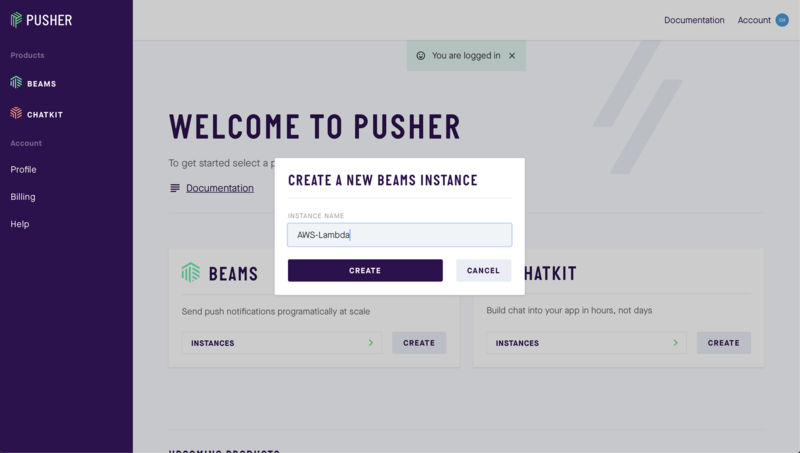 In this tutorials, we’re going to explore how we can setup Pusher Beams on an iOS client using an AWS Lambda function running Go to trigger the notifications. Go 1.x installed on your machine. Install instructions here. This code will be used by our Lambda function later on to publish notifications to devices that our registered for the hello interest. Note how we import both the Pusher notifications Go package and the AWS Lambda package. We use the event.title and event.message to form part of the message. We’ll look at this in more detail when we come to test our integration. Remember to replace YOUR_INSTANCE_ID and YOUR_SECRET_KEY with the credentials from your Pusher Beams console. Next we need to compress the directory we have been working in and make a .zip such that we can upload our code and dependencies to our function later on. Name your zip file GoLambda.zip. 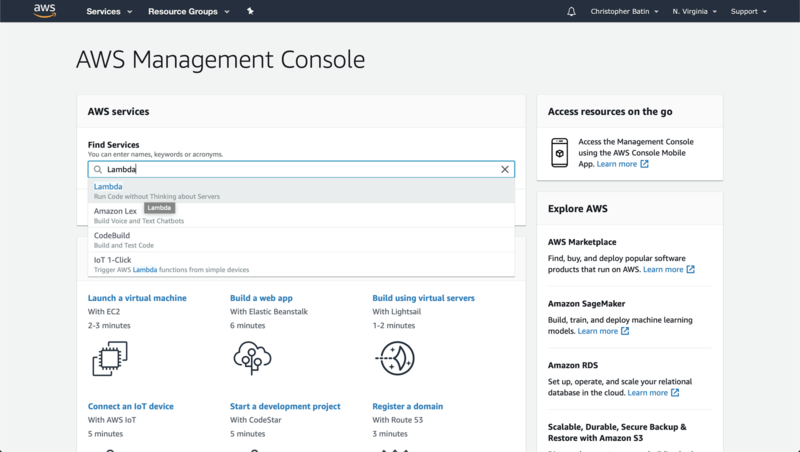 You should be redirected to the Lambda service and see an option Create Function, select this. Choose the Author from Scratch option at the top of the next page. Complete the basic setup as shown in the image below. Function name - Name this whatever you want for example “Pusher-Beams-Go”. 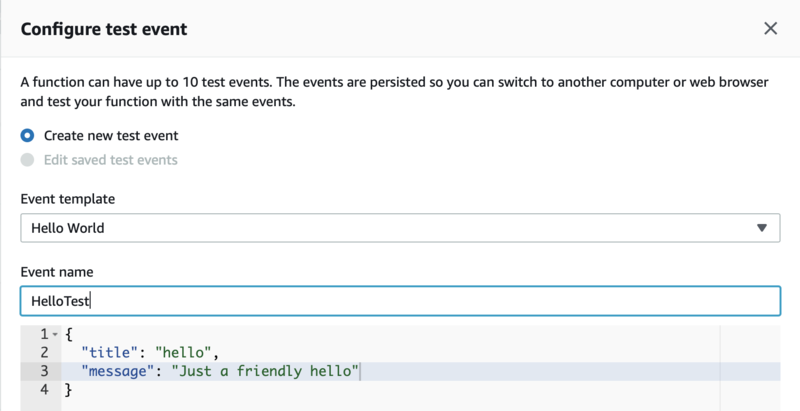 Runtime - We will be using Go 1.x so select this from the drop down list. Now we need to upload our code. In the Function code section select the Upload a .zip file from the Code entry type dropdown menu. Use the Upload button to search your local machine for the GoLambda.zip we created earlier. 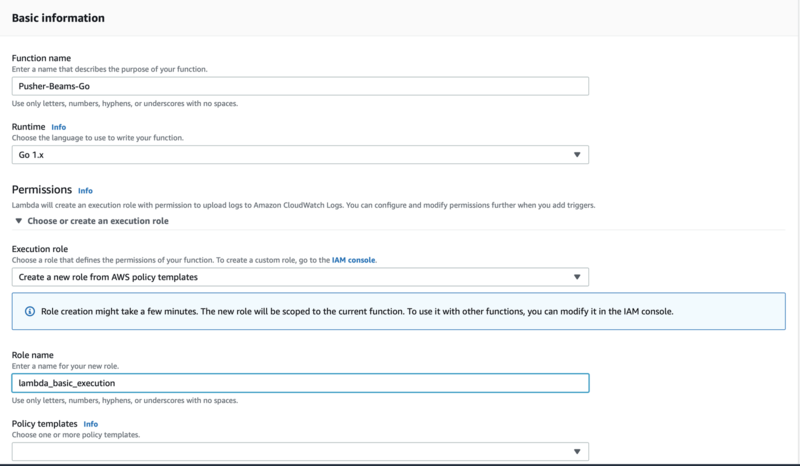 Finally change the Handler to be GoLambda/index, this will allow AWS Lambda to find our function within our folder. If everything looks like the below image click Save in the top right. 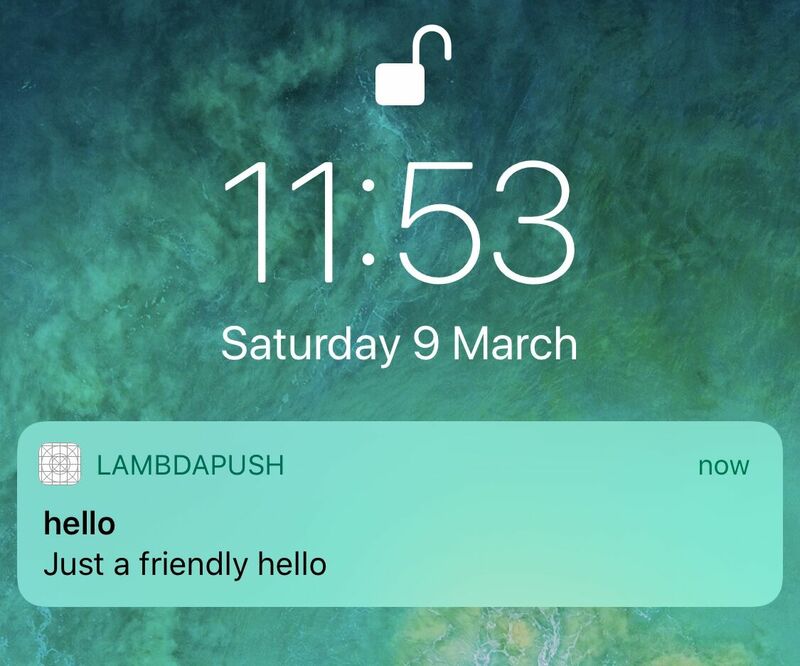 We’ve learnt how to create an AWS Lambda function using Go that can publish a push notification using Pusher Beams to an iOS device. The source code for this tutorial can be found here.